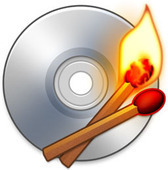 BurnWorld.com is dedicated to bringing you up-to-date, accurate and unbiased information on the expanding and exiting world of optical recording technologies. We will report, review and preview news that is relevant to the community. We would like to welcome you the newbies to the exiting world optical recording and we offer the veterans a fresh and new look at the industry and technologies.